Buy A Bracelet & Save the Ocean! 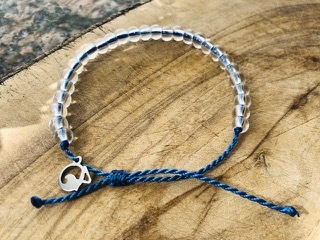 4ocean Removes 1 Pound of Garbage From The Ocean for Each Bracelet Purchase! In this life do you ever feel helpless and overwhelmed by all of the negative and destructive things you hear and see on a daily basis? I do, and I’m always looking for ways to combat the negative with a positive. I often ask myself: what can I do as one person aside from donating, or occasionally volunteering for causes I believe in to make an impact? Many years of asking myself this question, is the main reason I write this blog…. for sheer therapy. It makes me feel better to know there are people out there in numbers that want the same thing that I do: A positive change where our environment is concerned. 4ocean is a global company looking to clean up the oceans and coastlines across the world one pound of trash at a time. I want to toot their horn, because I am thankful and extremely grateful for such an innovative company that gives our oceans a chance for a major clean-up and rejuvenation. I came across 4ocean on Instagram (@4ocean) and instantly wanted to be a part of their movement. 4ocean is a company I needed to write about because it is another thing I can do. Knowledge is power as cliché as that sounds. In 2015 2 young men went on a surfing trip to Bali and discovered some of the coastlines were massively polluted with trash and plastic. Feeling that something must be done, these 2 men hatched a plan that will positively impact the planet in positive ways for years to come. I am not sure of the funding logistics, or how they got started, but by purchasing a cute bracelet made of recycled glass and polyester for 20$, you can fund the removal of 1 pound of trash from our oceans and coastlines. Now as small of a vision as this may have seemed at one time, 4ocean has removed 3.2 MILLION lbs of trash from our oceans in less than 4 years from 27 different countries, and this number continues to grow daily. Currently 4ocean operates out of multiple countries and employs over 150 people worldwide. Boca Raton is home to main headquarters of the company, however 4ocean Bali is allowing clean up efforts to grow internationally. A fantastic backlash to this clean up effort is that 4ocean is fostering new economies, and local communities are being educated on sustainability to help solve the global problem. 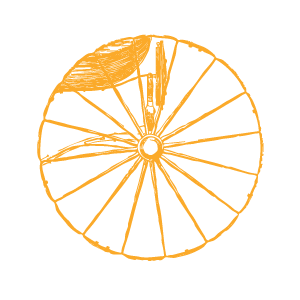 To learn more about this fantastic company or browse their recycled products (they make great gifts!) visit their website, or their Instagram page (4ocean), where you can get information, and become a part of this movement too!